Guess the Color of fun objects, animals, food, and characters Fun color game + adult coloring book in 1 100 PICS Coloring - The color in game for everyone! - If you love logo quiz games and you love adult coloring books, this is the fr...MoreGuess the Color of fun objects, animals, food, and characters Fun color game + adult coloring book in 1 100 PICS Coloring - The color in game for everyone! - If you love logo quiz games and you love adult coloring books, this is the free game for you. - An adult coloring book, and a game, where you color in your favourite logos, objects and characters for free. - Its a game, a quiz, and a coloring pages book for adults and kids all in one. - Can you Guess the color in hundreds of familiar logos and brands? - Take time out to color over 400 logos, objects, food, animals and cartoon characters. - Colorfy your way to the top! Relax and color in. > Look at the drawing of the logo, object, or character, choose a color, and tap to fill. > Wins stars for all correct colors used > Try with one color, then use the color switch to try a different one > Complete drawings with all of the correct colors to win 3 stars Addictive and fun! 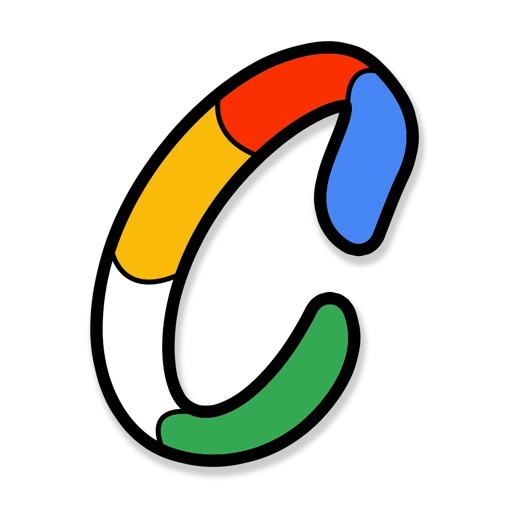 > Is it a logo quiz or is it a coloring game? > Its both! Coloring in logos is addictive and fun, coloring books are relaxing and fun. Its double the fun! All illustrations drawn by David Lambert https://www.facebook.com/DavidLambertArtwork/. Commissioned by Poptacular.